His episode of My Next Guest Needs No Introduction airs Saturday. 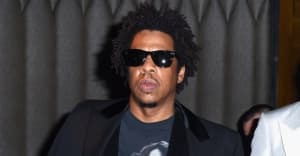 A third preview of JAY-Z's episode of My Next Guest Needs No Introduction was released exclusively on The Today Show today. In the short clip, JAY-Z shares a sweet story about Blue Ivy telling him he hurt her feelings when he rushed her to school one day. He told Letterman it was "the most beautiful thing" she'd ever said to him, clearly impressed by his daughter's ability to address her feelings. Watch the full clip above, and the episode in its entirety on April 7, on Netflix. Thumbnail courtesy of Christopher Polk/Getty Images for NARAS.